Need encouragement or motivation to cut your monthly expenses? 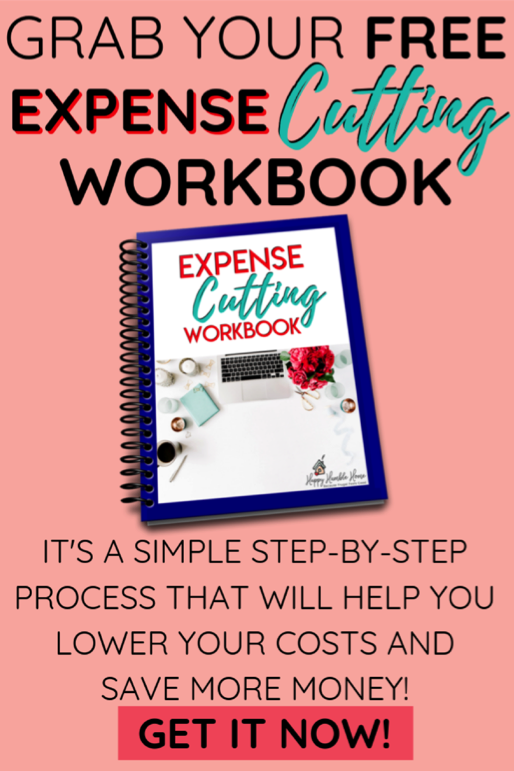 Check out this free Expense Cutting Workbook! Download a free printable Expense Cutting Workbook right now. This workbook contains 21 pages that guide you through a simple 4-step process for lowering your monthly costs.